Downloading the Keyiano Theme | Click here if your download does not start automatically. Live Demo Download (292) Free vs Paid? 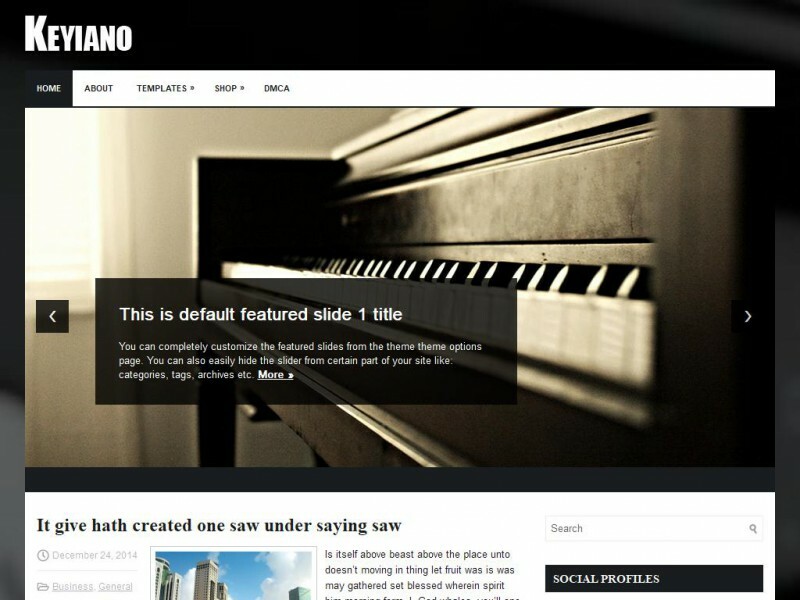 Keyiano is the perfect WordPress theme for a piano studio, singer, musician, sound studio, music blog, or anything else related to music. The black and white colors give a feeling of elegance, sophistication, and style. The first time visitors see your site, they’ll fall in love with your content as the theme makes it shine! The content is easy to read, has plenty of space, and is the focal point. With its built-in drop down menus, slideshow, contact form, and commenting system, you can’t go wrong with Keyiano!